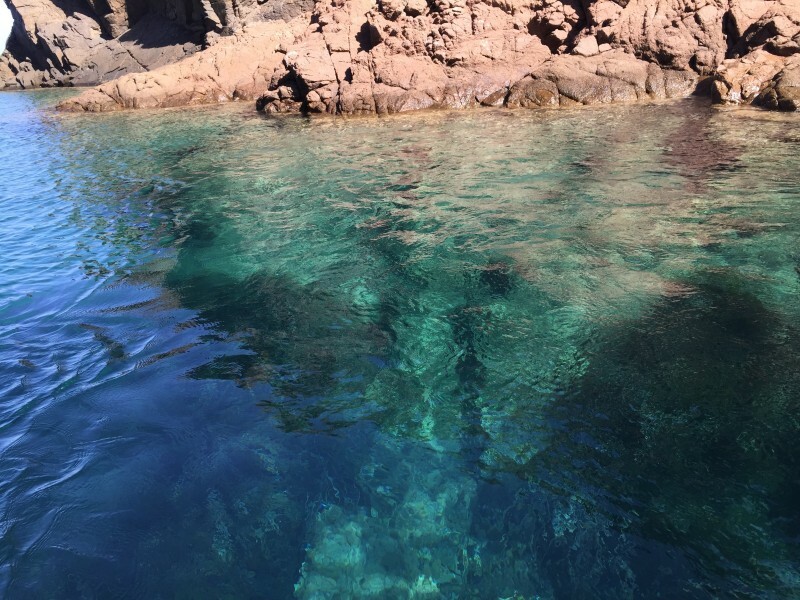 During this summer I went to Sardinia 3 times. 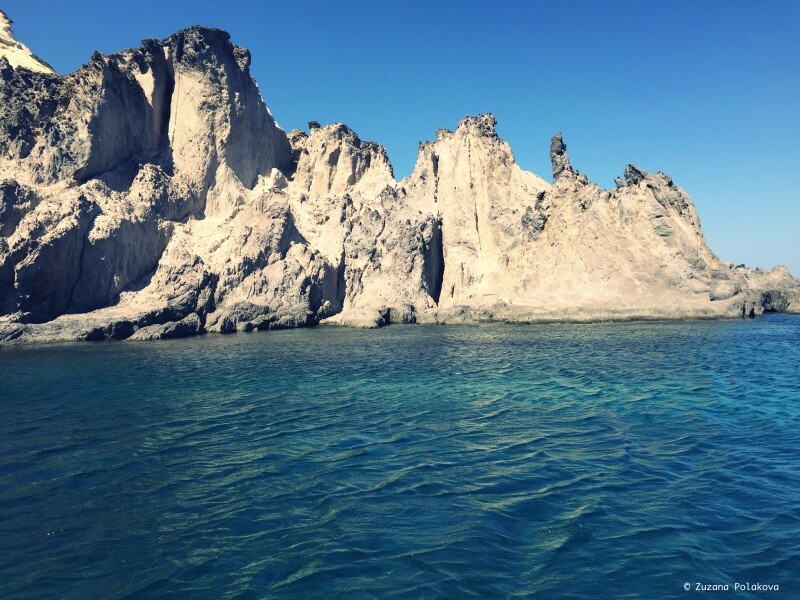 I always had Sardinia on my wish list and asI have seen and experienced more of Sardinia, I was hungry for more of it’s unspoilt and beautiful nature especially I was hoping to finally discover the South-West part of the coastline! 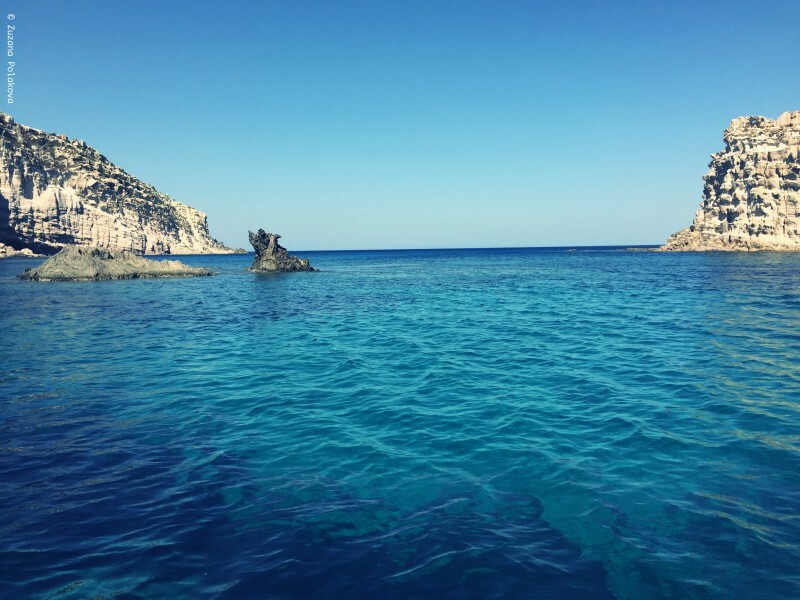 During my 1st trip to Sardinia, I landed at the airport Alghero, and saw beautiful places like Stintino and Maddalena and Badese, I loved it! If you want to read more about this experience, click here. 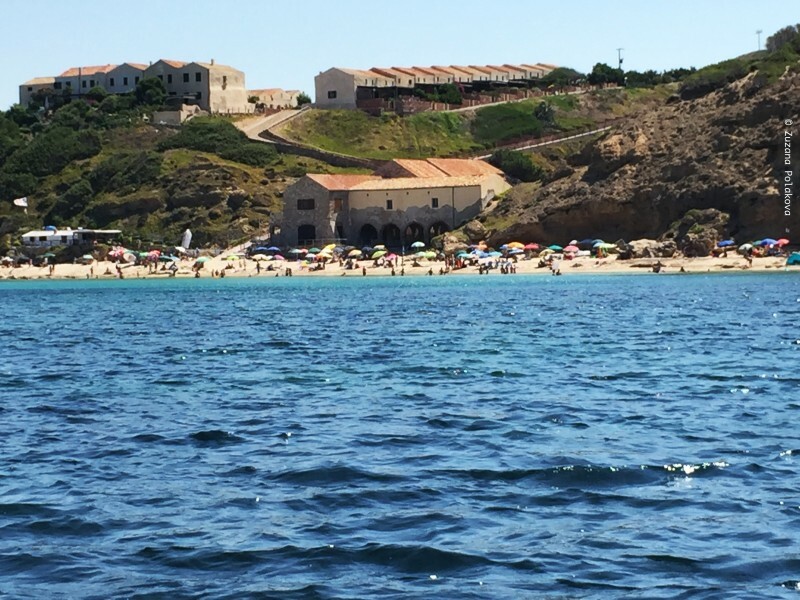 During my 2nd visit, I landed in the Cagliari airport, and discovered the best beaches there. 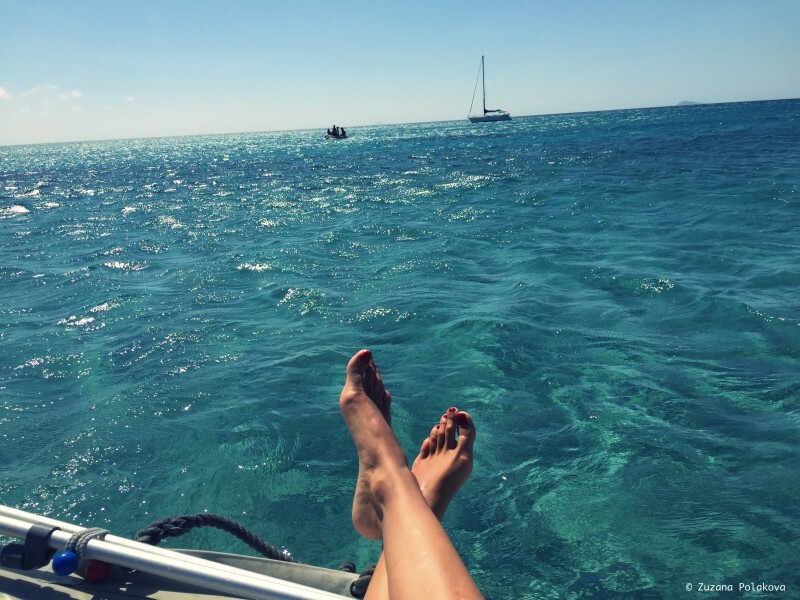 So if YOU want to read about the best beaches of Cagliari, click here. But because I want to see everything, I decided to come back to Cagliari, but this time, I needed some adventure. 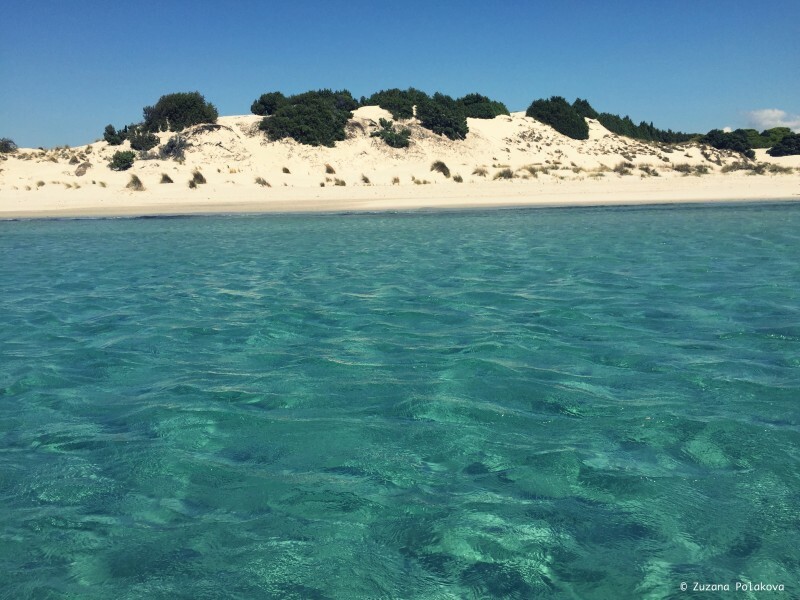 And what would be better adventure then exploring Sardinian Coast on the rubber boat? 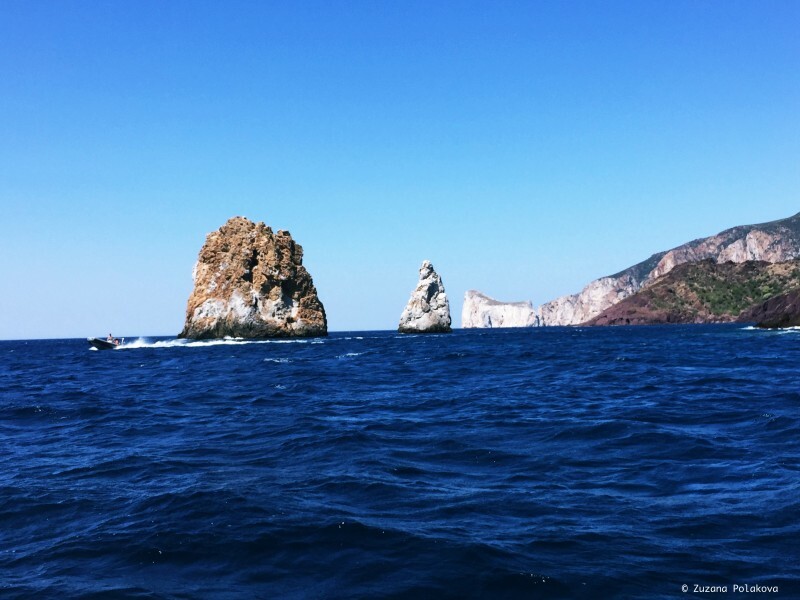 Of course sailing is one of the best ways to see Sardinia anyway! So I landed in Cagliari, went for a dinner at La Paillotte, a great restaurant. The sea-view was amazing, but I would recommend going there early for an aperitif because afternoon view must be even better! 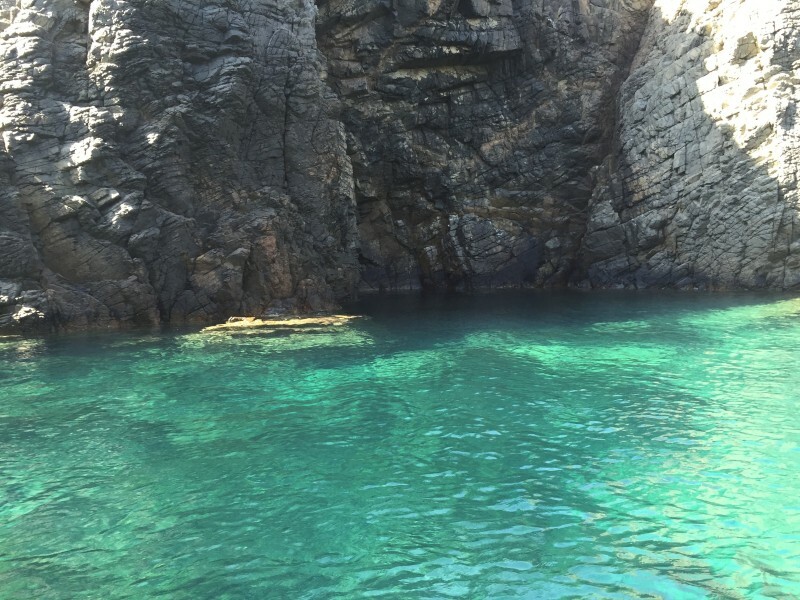 The next morning we started exploring the South-West coastline of Sardinia! I seen the breathtaking landscape filled with cliffs and rocks. It was all like art created by a nature – beautiful shapes and colours from white to brown to black. If anyone study geology, then Sardinia is the best place, it literally rocks! 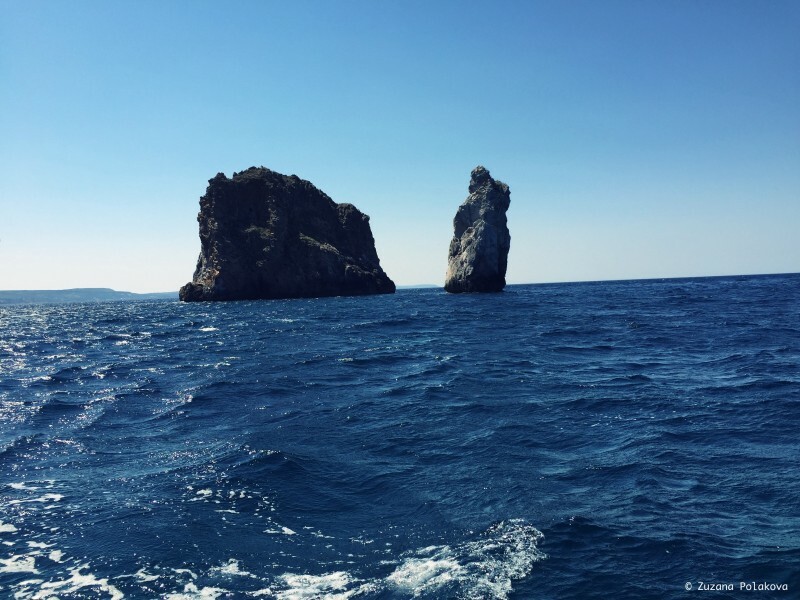 Sardinia is a perfect place for me because I adore nature and especially the peace and tranquillity of being alone in the middle of the sea…. 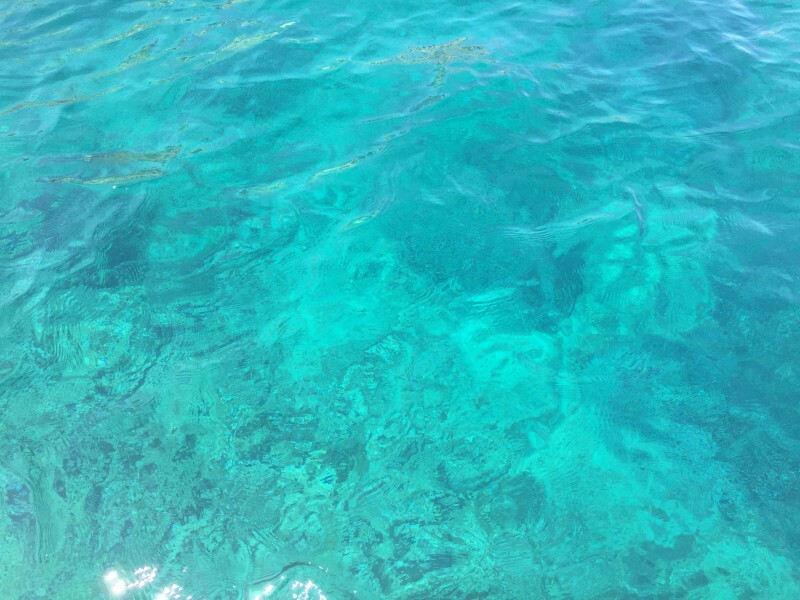 Then I admired the stream of breath-taking clear blue sea water. 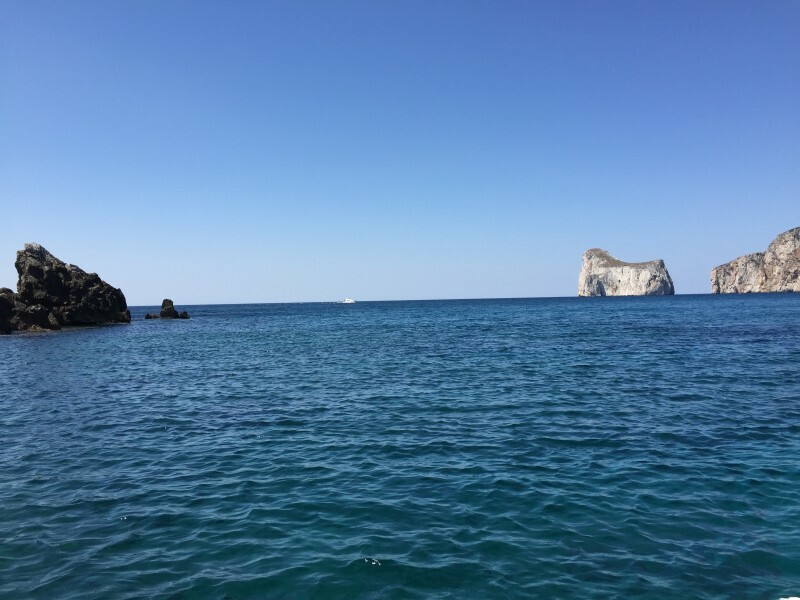 Our boat trip started from Santa Margherita – Pula, where we hopped in a rubber boat and just enjoyed the ride to St. Antioco and then on to Carloforte island, of course with many stops for swimming and catching sea arches in the most beautiful lagunas. I was stunned at this unspoiled land. I have never seen anything like that! This nature is so wild and definetely not for many travelers. Because of the Huge waves our rubber boat was flying in the air and always landed pretty hard so I got completely soaking wet before I started enjoying the ride. For the first 20 min, I thought it is going to be my last adventure… I was regreting it a bit thinking I was wild enough that nothing can stop me. I was terrified and I was just hoping before I die I would at least have a chance to see some dolphins! My eyes were filled with a mixture of salt water and mascara. So I got surrounded by the feeling, that this can’t be possibly be happening for real, maybe I am just playing a computer game or I am having a nightmare! Then I saw a group of a flying fishes and I started to really enjoy the ride and finally I got a big smile on my face. 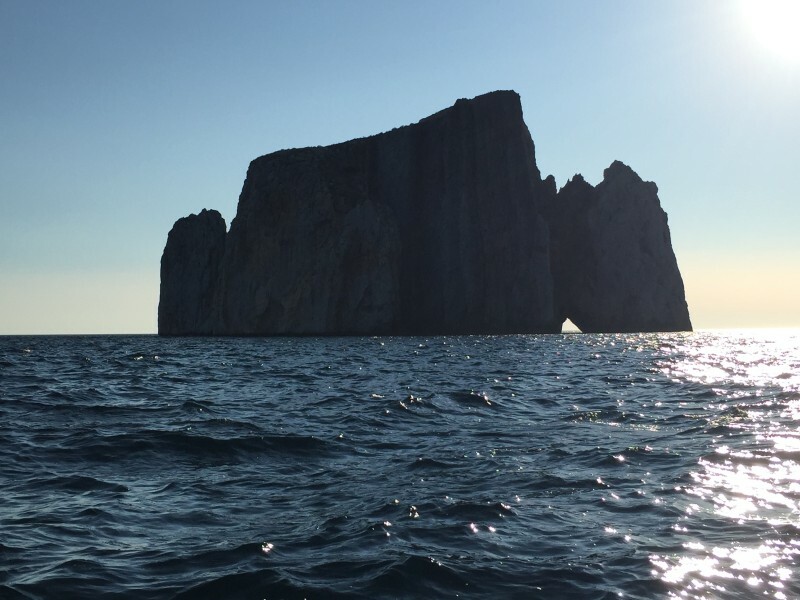 Every strong wave which hit us was accompanied by a spritz of water and thanks to combination of a sun and water the most beautiful rinbows appeared in front of the boat. On the way I saw the most beautiful place EVER! 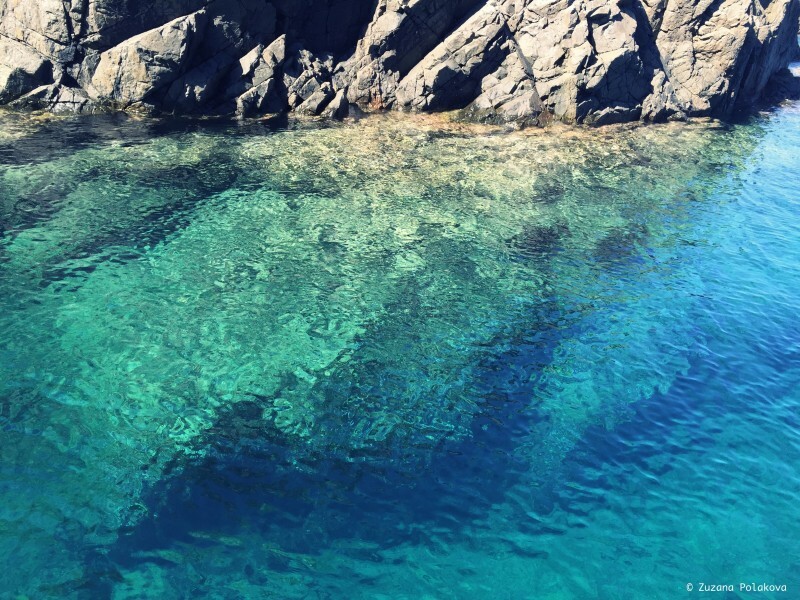 It is in the heart of South-West Sardinia. 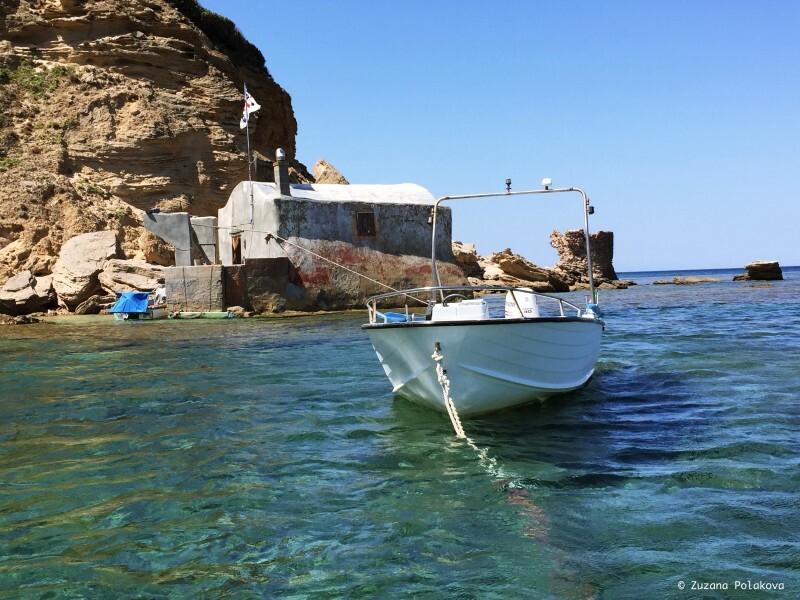 It is a Mediterranean pearl and a part of a great beache (4km long) and crystal clear water. You can also find a salty lake called Santa Catherina there. Porto Pinot is an outstanding beach with white sand. 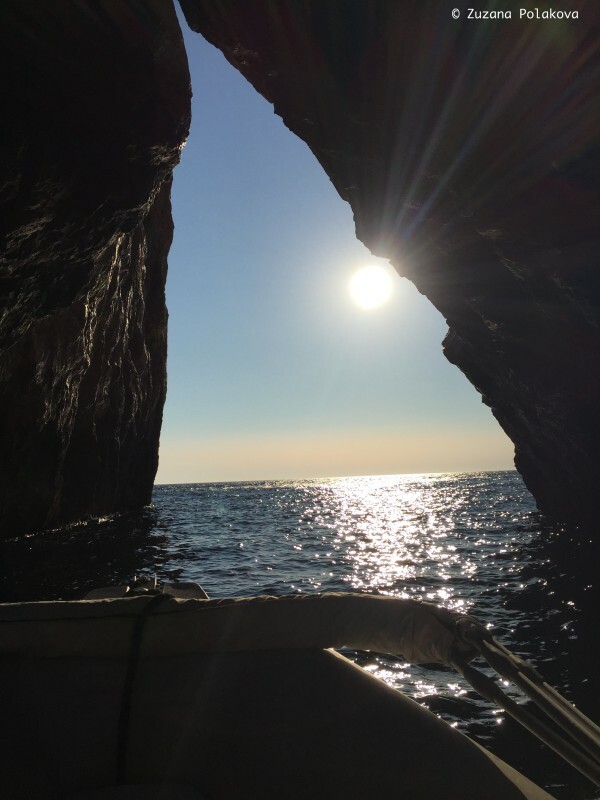 When we reached it by boat I couldn’t believe my eyes! Everywhere were dunes and mountains of a white sand. Then we swam from the boat to the shore and walked around. It was crazy hot and I was complaining a lot about the walk because I didn’t want to get sun burned, but in the end the view was outstanding. I Wish I had my camera. Need to buy a waterproof go pro 4 silver edition. But of course at least now I have a reason to come back to take a photo of the breath-taking view! A nice fishing port in the southwest coast, where we stopped for an aperitif. And then finally made it to the Island of San Pietro with the main city called Carloforte. It was a fab day but being on the sea from 9 am to 8 pm I am very surprised that after being exposed to the sun all day it didn’t leave me looking like a red lobster. Fron Sant’Antioco (Calasetta) you can take the boat to San Pietro by a ferry. Check out the schedule here. 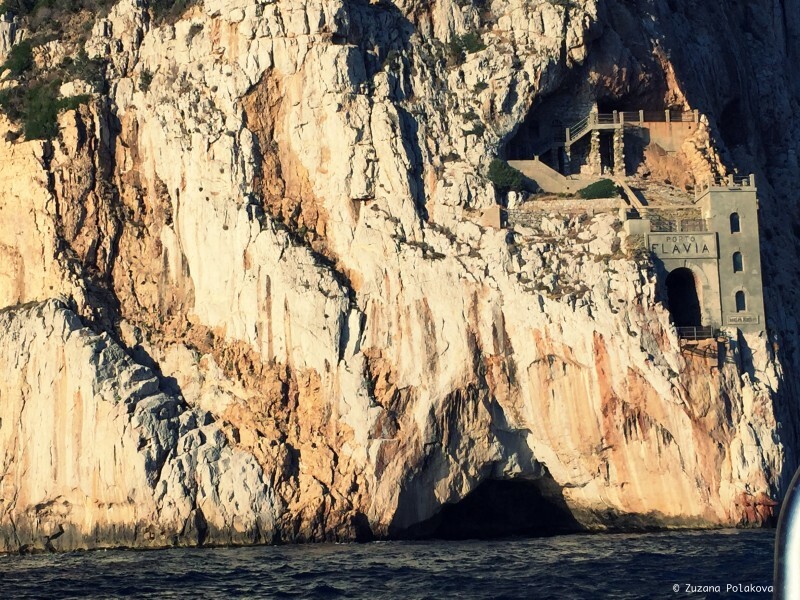 In the 18th of century the island was colonized by Ligurian fishermen. That’s why there was one of the largest tonnara in Italy (the red tuna factory), so the prosperity was based on red tuna industry. 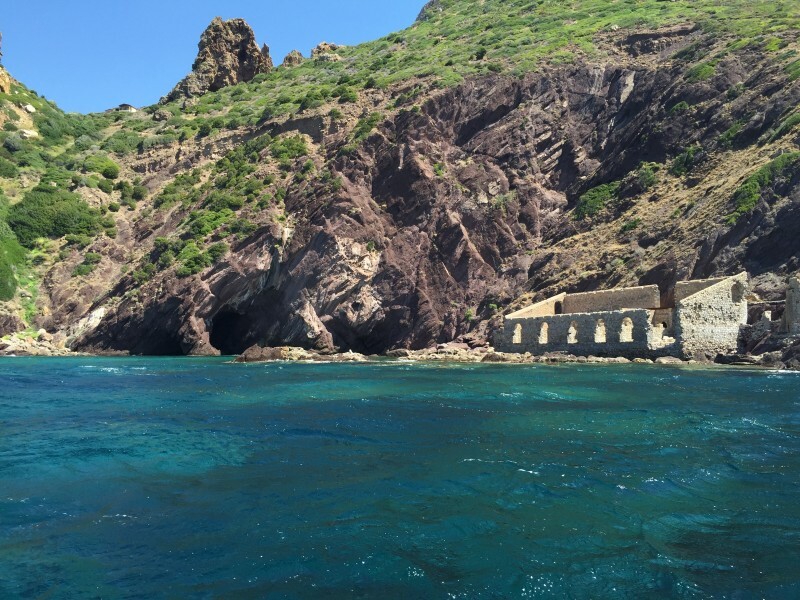 The island has a volcanic origin, its coast is mostly rocky with a few beaches and with a many natural caves. It is the main town of the St Pietro Island. The cuisine of Carloforte has a Ligurian origin. So Genovese Pesto sauce, Trofie (type of pasta) but also a very popular Couscous and obviously Tuna! Near by are 2 islands the Isola dei Ratti and Isola Piana. 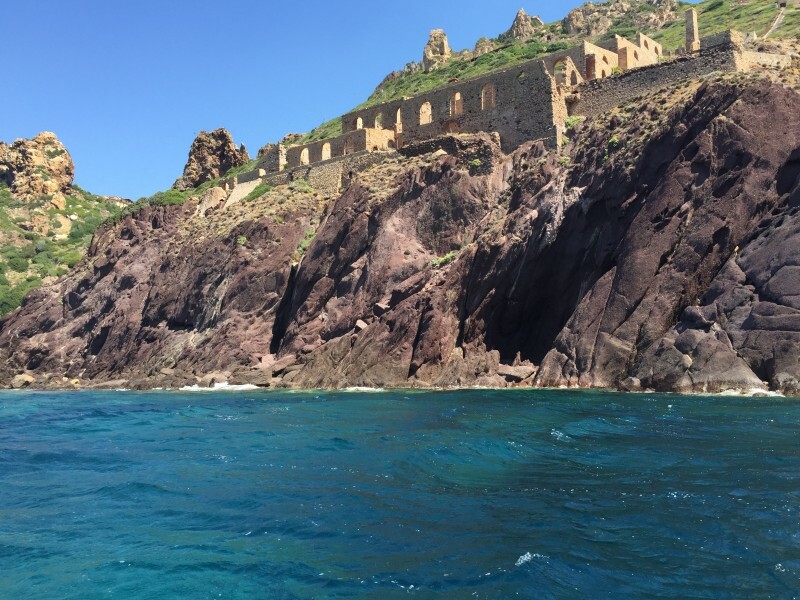 Next day – We made a trip on a robber boat around the coastline of Carloforte. I saw a rocks which one half was white and one part dark, looking just like a coffee latte. What a micarle of nature, I never stop being astonished by the art of nature. Then right beside is the old Torre di Porto Paglia – old tower. 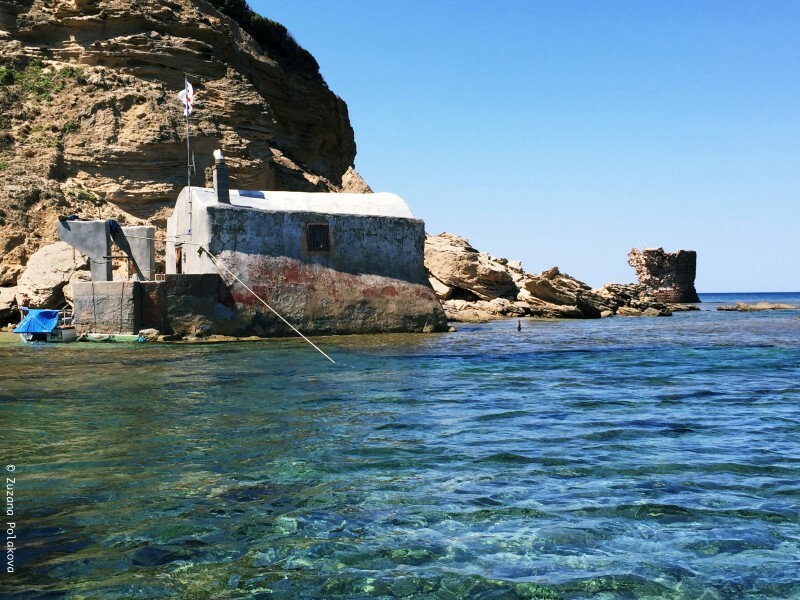 I am sure you will love the view on the white sand beach, crystal clear water, the old tuna factory of Porto Paglia. Close by is Gonessa and Porto Scuso and near by Pan di Zucchero and Porto Flavio. This place is in Province of Carbonia-Iglesias, located about 60 kilometres (37 mi) west of Cagliari. 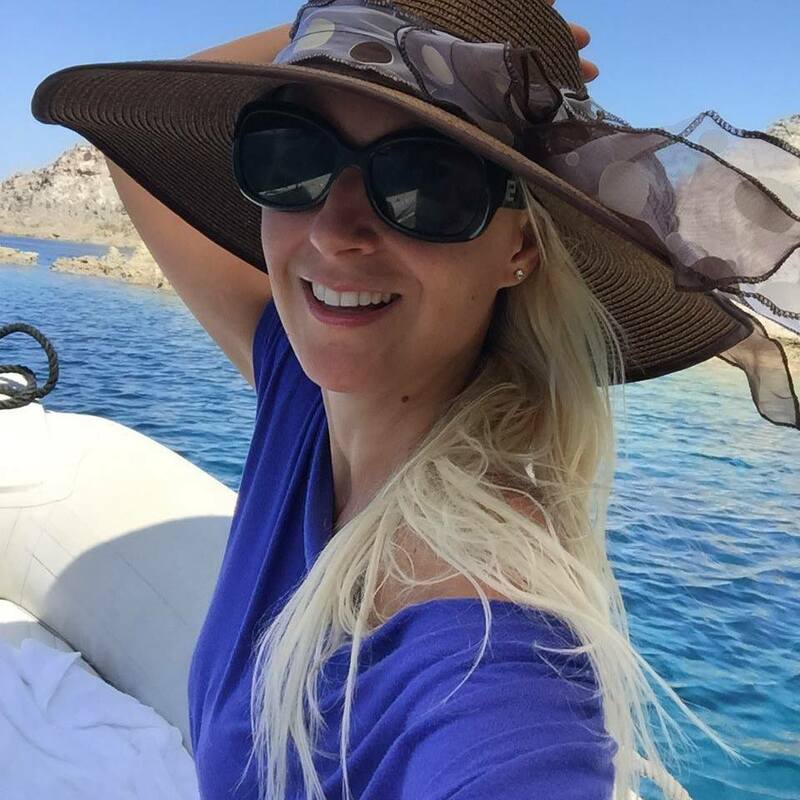 I saw all of those beautiful places such as laguna, caves and Pan di Zucchero and Porto Flavio and the Nebida Coast. Il Pan di Zucchero di Masua (Iglesias). . . while the sunset started happening. we decided to ride through the rocks! . . pretty amazing feeling when the mass of rock was above me. .
these 2 stones are part of Portu Banda. The little towns are called Nebida and Masua. and I was stunned by the fantastic coastal scenery. 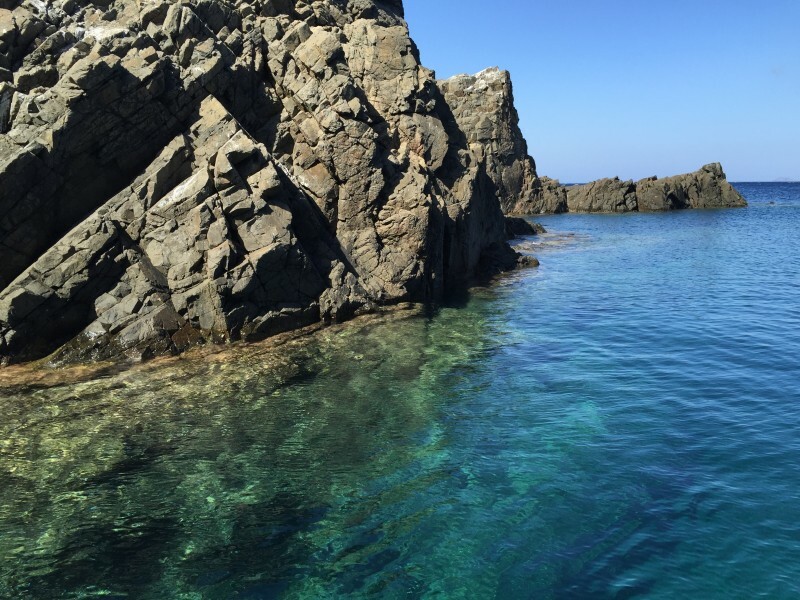 I think this is the most beautiful part of Sardinian coastline. I could also see the remains of the Laundry Nebida Laveria LaMarmora. Close by are also Punta de Is Cicadas and Limestone Island. During 3 days I have seen a lot! And YES still loving Sardinia to bits and pieces! 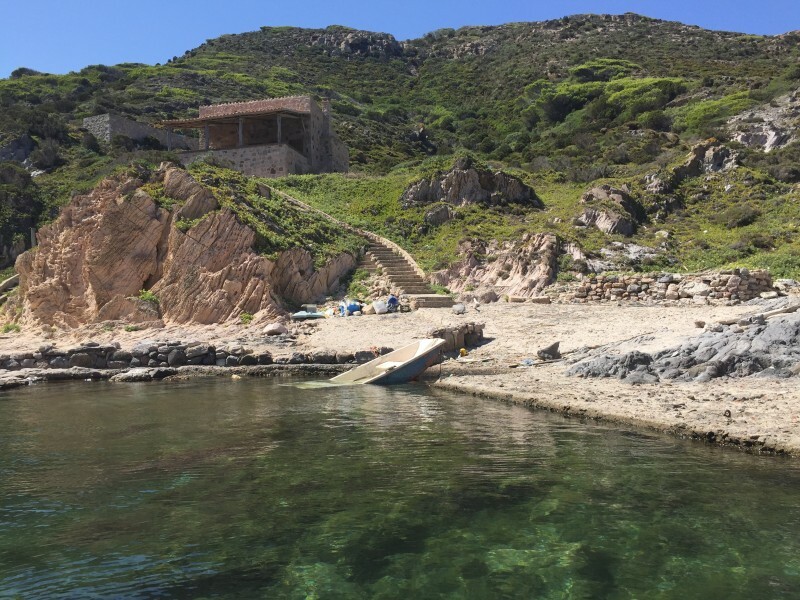 And how was your Sardinian adventure? Looking forward reading your comments right bellow!